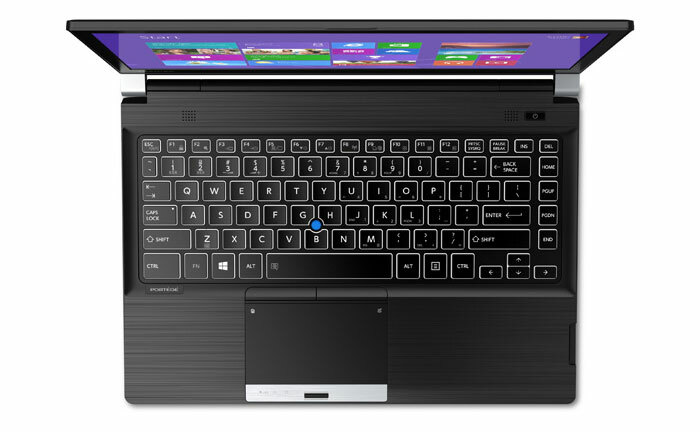 Toshiba has announced the availability of the Portégé R30 Laptop, aimed at small and medium sized businesses (SMBs). This is a 13-inch form factor laptop with a magnesium alloy chassis, described as a "premium ultraportable PC," by Toshiba. 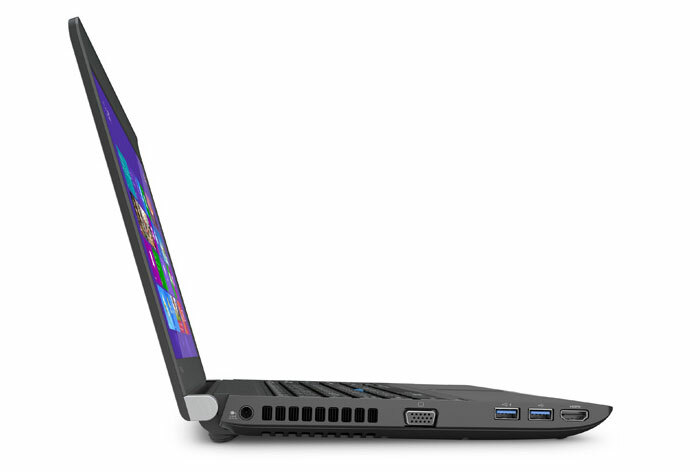 The laptop features a slim (1-inch / 25mm) and portable design weighing in at 3.2lbs (1.45Kg). It offers around 8 hours of battery life and a built-in ODD without sacrificing portability. Powered by an i3, i5 or i7 Haswell processor users can specify up to 16GB of DDR3 RAM and up to a 1TB hybrid drive. Being built for business the Portégé R30 laptop is available with a 4th gen Intel vPro family processor and is paired with a Trusted Platform Module (TPM) and a Fingerprint Reader to provide the extra security IT departments require. As mentioned in the intro users can specify up to 16GB of RAM and a 1TB SHHD (or 512GB SSD if you prefer) to fully equip their portable PC. The display is a 13.3-inch 1366 x 768 pixel LED backlit TFT, TruBrite model. Toshiba has chosen to equip the laptop only with full sized ports, for convenience and compatibility, and these include; three USB 3.0 ports plus a full-size HDMI connector, VGA, media card reader and LAN port. The USB ports are Sleep & Charge enabled so you can charge other devices off them even when the PC is turned off. The battery offers about 8 hours of capacity and is easily swapped by the user. The Portégé R30 shares Toshiba's common docking station design and other Portégé and Tecra accessories. The Portégé R30 laptop is built to be durable. Toshiba has constructed the 'Tough Body' chassis from a magnesium alloy. The alloy is honeycombed for lightness, durability and rigidity. The laptop features Toshiba Easyguard to help protect against stress and hazards in the everyday workplace and the laptop has been tested to withstand spill, drop and Highly Accelerated Life Testing (HALT). Furthermore Toshiba says that its AirFlow II cooling system won't let you down. Within the first 6 months of your 3 year guarantee Toshiba will provide a new swap-out laptop if the LCD panel, hard drive, memory or system board fails. Available immediately, the Portégé R30 laptop is priced from between $829 to $1,599 depending upon processor, RAM and storage choices. VGA port, DVD, 1366x768 … what year is this?! Perhaps it indicates how long it takes for a product to get from design to production at Toshiba, which isn't a good sign. I guess there are some people that still use old connectors/media, but is it enough to justify legacy ports in a new model? I don't mind the VGA option for a business laptop, lots of old offices/conference rooms still use it to hook up to a projector and it saves fiddling about with adapters. 1366x768 is unforgivable at this price range though, it even annoys me on budget laptops. VGA port, DVD, 1366x768 … what year is this?! lol - I honestly thought this was a prank post! I'm sorry, am I seriously looking at these specifications right now? DVD player, 768P TFT (what!?) monitor, VGA port? Someone remind Toshiba that this is 2015, not 2005. The only spec here that is poor is the screen res. DVD player and VGA are both key business features and in fact I'm impressed they shoehorned a DVD player into the 13" chassis, but given the thickness I guess it wasn't too hard. On a side note, why do the Americans use such a ridiculous keyboard layout?